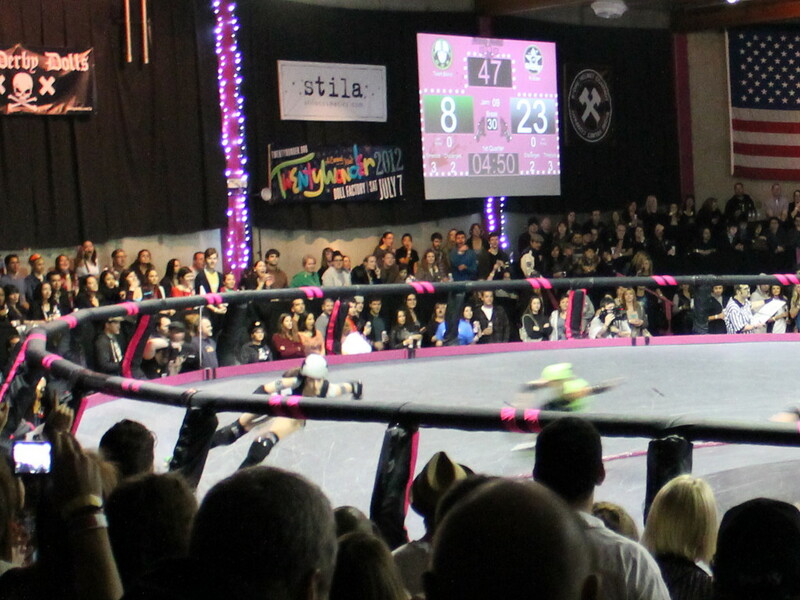 Recently, Kathleen and I have watched a number of documentaries about the revival of roller derby. And it looks like something fun to go see. 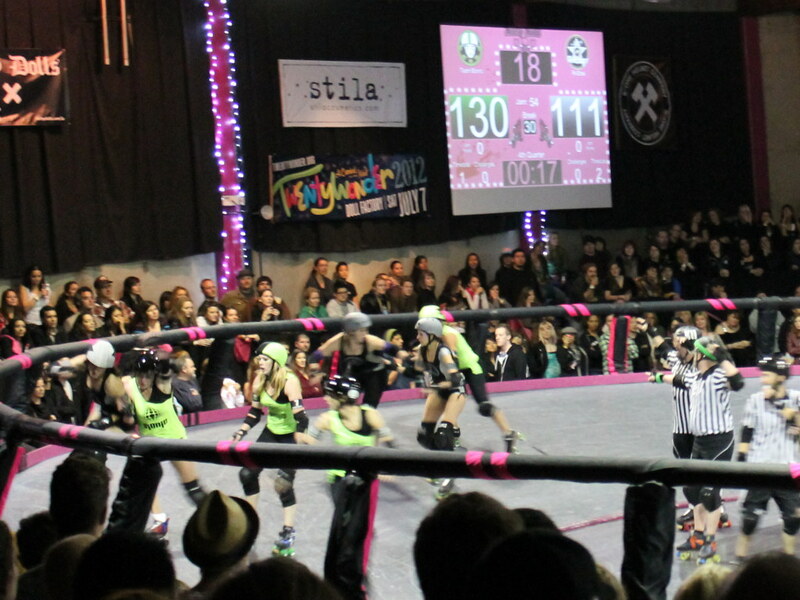 The L.A. Derby Dolls recently changed their policy to allow all ages to come to their bouts, so asked Lucinda if she wanted to go. And tonight we all went to see the show. Getting there turned out to be a big ordeal, but that was just because of some problems on the road, and ordinarily, it’s not all that bad of a trip. 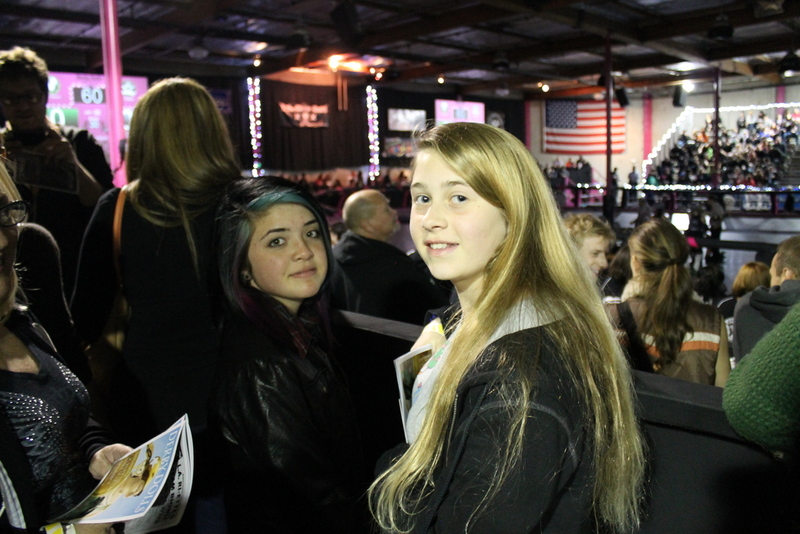 We got there just before they introduced the skaters before the bout started. Next time, we’ll plan on getting there earlier. They had a whole vendor area, as well as food trucks outside. Truck Norris was even there. 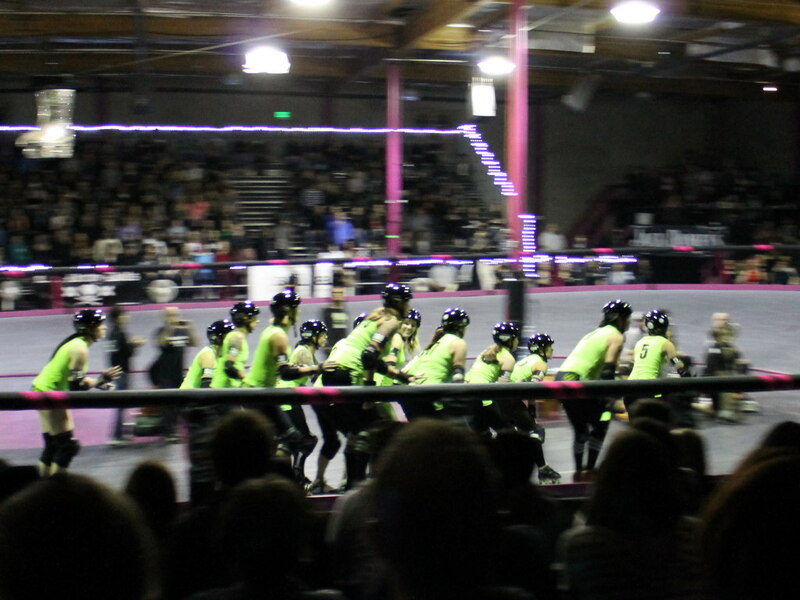 Inside, they had the banked track set up, with sort of standing-room bleachers set up around it. The regular tickets are general admission, and there are no seats. But because of the way the platforms are set up, it wasn’t a problem. We found a little bit of space along the railing and let Lucinda and London take that, while we stood behind them. So we could all see just fine. At the start of the match, they explained the basic flow of the game, so it made some sense. And there was a lot of fast action. 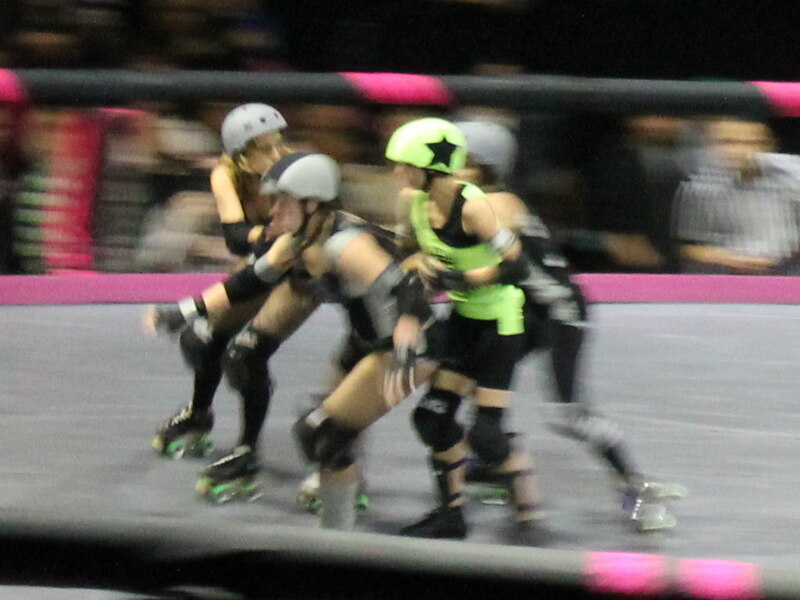 The announcer said that at least one of the jammers is a speed skater in her other life. And it showed when they got going. It was a lot of fun to watch. At half-time, they had a bout a 30 minute break, with a band playing in the vendor room. Lucinda and London went and bought themselves some shirts. It looked like they had a good time there. All in all, it was tremendously entertaining.